Quito offers you the opportunity to live lots of experiences throughout its main and most recognized tourist destinations. However, there are places that nobody tells you about, and which you should venture to visit if you are visiting the capital of Ecuador. Now we will introduce you to certain recommendations about some activities that should become part of your visiting agenda. The largest Historic Center in South America deserves to be visited during the day, but we also recommend that you do it during the night because it acquires an unprecedented atmosphere thanks to the magnificent lighting of its streets, churches, squares, and monuments. 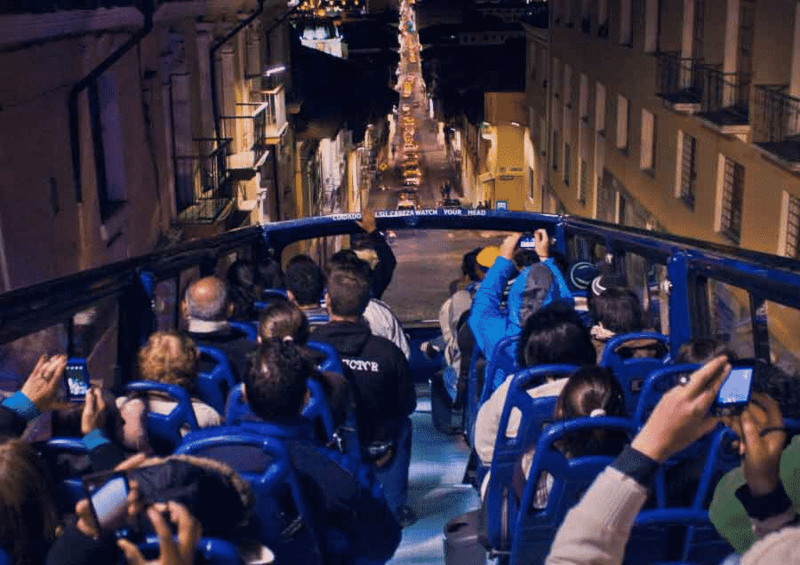 Quito Tour Bus offers the experience of living Quito at Night, a complete tour that will allow you to enjoy a panoramic view of the illuminated city. 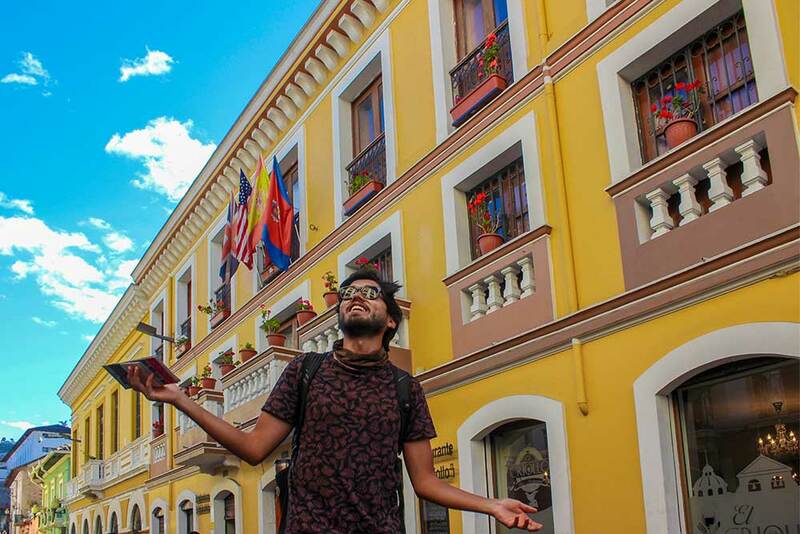 You will also have the opportunity to descend for an hour in the traditional “La Ronda” Street where you will be able to walk through a colorful and narrow street which is well known for being the birthplace of poets, painters, writers and bohemians. In addition you will be able to visit several restaurants and bars where to enjoy the typical gastronomy. Thousands of colors, gastronomic delights, and trade dynamics are some of the attractions that you can enjoy visiting any of the popular markets of Quito. The well known markets of San Roque, Iñaquito, Central Market, Ofelia, Floresta, Ipiales, Solanda, Santa Clara, Magdalena, among others, present to their clients a variety of products. You will be able to admire the fruits and vegetables that Ecuador has to offer. Moreover you will find the incomparable flavors of the traditional gastronomy that is offered in the recognized restaurants of the markets. On the other hand, if you buy products in the markets, you will not only taste the special flavors of this country but you will be supporting the local trade and you will get fresh, varied, and cheap products. We invite you to live this unique experience that we are sure you will not regret. 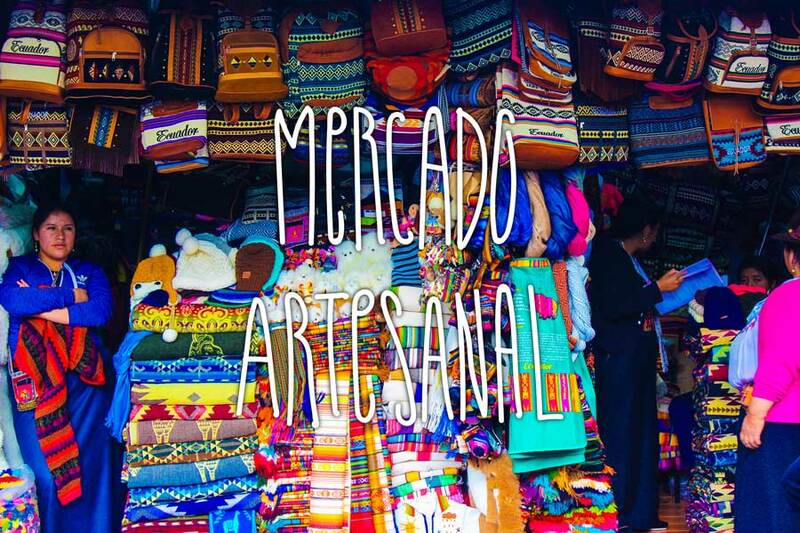 If you are looking for a place to buy good products at really good prices, but most of all surrounded by friendly people, an obligatory stop during your visit to Quito is the “La Mariscal” Craft Market. 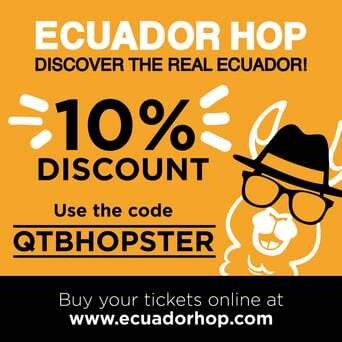 In this place you will find the perfect souvenir of your visit to Ecuador. This market, located in the north center of Quito, is dedicated to the sale of handicrafts from all over the country. In this place, the customs and ancestral traditions of our people are maintained through the elaboration and commercialization of handicrafts. In this craft market you will find a variety of products made mostly by hand. The diversity of products of this place is amazing since you can find objects such as: hats, clothes, jewelry, stones, ceramics, among others. These handicrafts have vivid and beautiful colors and their prices are convenient and negotiable. Quito Tour Bus, the official tour bus of the city, allows you to access to this emblematic space through the renowned Quito City Tour. National Ball or “Pelota Nacional” is a traditional game that is practiced in Ecuador, Peru, and Colombia and has been passed from generation to generation. This sport is practiced in the city of Quito, in the Ecuadorian Andean Region and in the north of the country. Over the years its practice has been decreasing, however there are still people who enjoy this hobby. This interesting activity has a certain resemblance to tennis. It consists of the use of three implements: wooden rackets, gloves, and ball. There 5 people in each team. In Quito this sport is practiced frequently in the southern neighborhoods, as well as in “La Carolina” and “El Ejido” Parks. If you you choose to take the Quito City Tour the bus will pass through these parks. We recommend to local and foreign tourists who visit the city to observe how this game works because this is a sample of the traditional culture in the Andes. If you enjoy artistic presentations, you will love this fabulous theater. 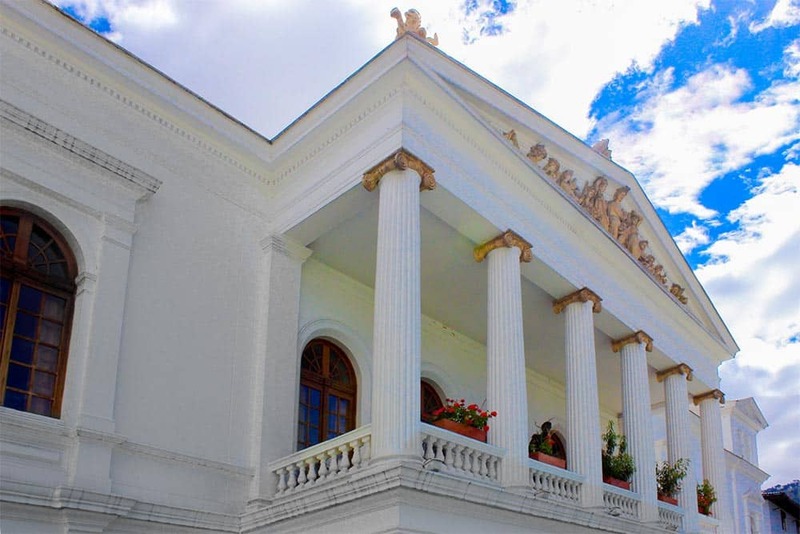 Sucre National Theater, located in Quito’s Historic District, is an essential place to know. We recommend you to visit this neoclassical cultural building that was built at the end of the 14th century and is considered one of the oldest theaters in South America. At Sucre National Theater you can not only enjoy works, musicals, plays, movies and concerts, you can also admire its fabulous and unique architecture.